Laser measurement technology in automotive four wheel aligner application_Industry knowledge_Shandong Zhengneng Automobile Testing Equipment Co., Ltd.
With the rapid growth of the number of cars, the quantity and quality of automotive testing equipment are constantly improving. 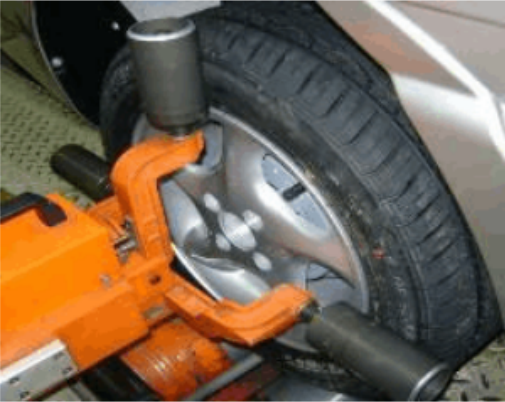 As an important part of vehicle detection, the impact of wheel alignment parameter detection on the safety performance of the vehicle is very important. If the wheel positioning parameters are not normal, it will lead to abnormal wear of the tire, running deviation, wheel swaying, heavy steering, and increased fuel consumption, which directly affect the driving safety of the car. According to the measurement method, it can be divided into contact type and non-contact type. The contact method measurement is typical of the pull wire type, and the non-contact four wheel aligner is typical of all optics, such as a 3D laser four wheel aligner . A tens of watts of light bulbs can only be used for general lighting. If you concentrate its energy in a 1m diameter ball, you can get a very high optical power density, which can be used to penetrate the steel plate. However, the light of an ordinary light source is emitted in all directions, and the light energy cannot be highly concentrated. Light emitted from different points on ordinary light sources is disorganized in different directions and at different times. It is impossible to gather at a point after passing through the lens. Lasers are quite different from ordinary light. Because its frequency is very simple, the light emitted from the laser can propagate in the same direction step by step. It can be concentrated by a lens to a point, and the energy is highly concentrated. This is called high coherence. The brightness of a giant pulsed ruby ​​laser can reach 1015w/cm2·sr, which is several times higher than the brightness of the sun's surface. The directionality of the laser is much better than all other sources nowadays, it is almost a bunch of parallel lines. If the laser is launched onto the moon, after a distance of 384,000 kilometers, there is only one spot with a diameter of about 2km. The stimulated radiant light (laser) is the light released by the atom when the stimulated radiation occurs. The frequency composition range is very narrow. Generally speaking, the monochromaticity of the stimulated radiant light is very good. The "color" of the laser is very pure. (different colors, actually different frequencies). The monochromaticity of the laser is an important factor in achieving laser processing. We can illustrate this problem through simple physical experiments. All values ​​are collected by the laser measurement system to determine the parameters of the chassis and the values ​​required for the adjustment of the chassis. Usually the wheel aligner has four laser measurement units. The laser used to measure the parameters of the driving structure is included according to the equipment. The laser is attached to a stable stand. The bracket is mounted on the slot cover of the front axle range and on the mounting plate of the rear axle range travel unit, enabling the measuring system to be brought to the desired track with the travel unit. Two laser units are required to measure the steering angle. 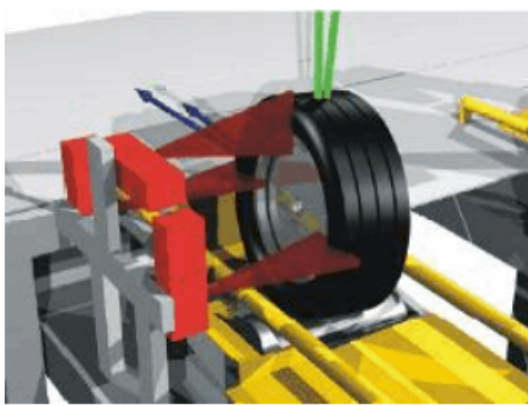 It emits a laser beam onto the wheel edge on a horizontal plane, and the measurement of the camber angle additionally requires a second laser sensor that emits a laser beam in the vertical direction toward the wheel edge. In order to protect personnel and sensitive lasers, a protective frame made of plastic steel and plates is placed around the measuring unit. Usually mounted on the groove side or groove cover. 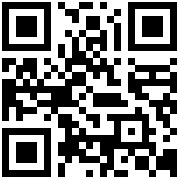 It is open to the center of the locator to avoid mechanical influence. The size of the laser protection device is determined by the position of the locator to determine that the front measurement unit is stationary. Its size is easier to determine than later because the measuring unit moves together after the track adjustment. Lasers of different measurement tasks can be additionally added to the system and the laser beam directed at the side of the tire is reflected and passed through the mirror and the lens to form an image on the CCD strip. This not only allows high-precision measurement of the tire profile, but also the distance from the laser unit to the tire. When the steering and camber angles are obtained, the measured values ​​of all the laser measuring units are performed on the rotating tire and the average value is calculated, which is corrected by the coefficient obtained by the "steering wheel level" and the adjustment is displayed. Steering measurements are necessary because the tire's label or possible imbalance can strongly change the corresponding measurement for adjustment. Compared with the static measurement method, its advantages are greater. For safety reasons, the tire is stationary when adjusted. The laser measurement system must be calibrated at the time of commissioning and at specified intervals and when the measurement results are suspected to be incorrect. The laser sensor of the measuring unit works on the principle of triangulation. Each of the excitation sensors is calibrated on the coordinate system used to define the fixed surface by the perceptron calibration data. The steering angle, camber angle and coordinates of the center point of the wheel are determined relative to the coordinate system of the measuring unit. This coordinate system is defined by the fixed surface of the laser sensor. In order to uniformly orient the coordinate system of the four measuring units, the production calibration frame is used. The calibration frame simulates an "ideal vehicle" with a steering angle and a camber angle of zero. The equipment is calibrated and the calibration rack is mounted on the equipment and the measured values ​​are collected. These measurements are used as reference values ​​for later measurements. The original value collected in the measurement is subtracted from the reference value to obtain the displayed measured value. For example, if the original value of a certain vehicle is the same as that of the calibration frame, all the measured values ​​are displayed as 0. The calibration of the laser system must be carried out every week. After the calibration frame is installed in the corresponding hole of the calibration frame support by two pins, it is necessary to check whether the calibration frame is horizontal. Used to check the three levels on the calibration frame. The deviation is not allowed to exceed the marked distance, and the height of the measuring unit is also checked. CCD (ChargeCoupledDevices) is a photo-charge coupled device. Its outstanding feature is the carrier of charge as signal. It is an image sensor. Most digital cameras use CCD camera devices. The CCD applied to the four wheel aligner is generally a line array structure. When the light hits the image sensitive unit on the CCD, a signal charge is generated, and the output of the signal charge is used under the external use of the flash, and is collected and processed by the microcomputer processor on the sensor, according to the position of the illuminated image sensitive unit. The angle of the incident light can be accurately calculated to calculate the toe angle. Since the image sensitive unit on the CCD is uniform, its linearity is very good, so the measurement accuracy is high. In addition, since the measurement range of the CCD is large, the CCD can be used to measure the steering angle when measuring the kingpin angle. This is why the four-wheel aligner with CCD sensor does not require an electronic turntable to automatically measure the kingpin angle. The main advantage of the CCD sensor is its good linearity, so the measurement accuracy is high and the measurement range is large. When the kingpin angle is measured, it can be read automatically without the need of an electronic turntable. At the same time, since the CCD output is a digital signal, AD conversion is not required, and the linearity is also ensured, so the anti-interference force is strong, and it is not affected by factors such as the external environment temperature, so that the error of the system is minimized. The characteristics of CCD are as follows: 1. High position resolution: 14μm×14μm, wide spectral response: 380-1100nm; 2, fast response: 5ms; 3. stable and reliable system, low power consumption and long service life; 4. Full eight bundles Measurement, no electronic turntable is required. Since the laser is output in a vertical straight line, although the directivity is good, the beam angle measurement range of the laser is also small. Due to the relationship between the light spot and the scale, and the laser is easily interfered by the outside, the laser is used as the light source for the four wheel alignment. The instrument is not ideal. And the laser has certain damage to the human eye vision, and there is no safety guarantee.